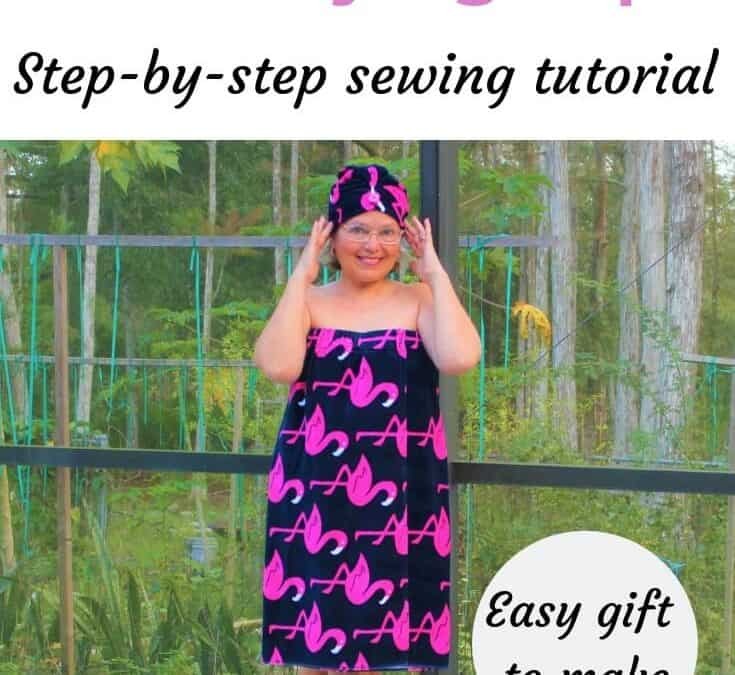 This guide is a step-by-step sewing tutorial on making a cute and cozy bath towel wrap (cover-up) with hair drying shower cap sometimes also called “twist up hair towel”. This is one of the best gifts you can sew for the holiday! Who doesn’t want a beautiful comfy towel wrap set? You can buy a towel wrap set but I know a better way – sew it yourself. And then you can make it exactly as you like from the fabric of your choice and in the size you need.